You might think that even after virtually every scientist with expertise in the discipline agrees that human-induced climate change is not only real but a dire threat to the stability of our civilization and our environment; that after virtually every scientific academy on the planet concurs with this view; that after the phenomenal work of the Intergovernmental Panel on Climate Change (IPCC, arguably the most thorough and extensive international scientific enterprise of all time) has definitively established the causes and consequences of this danger; that after 174 countries on the planet put their signatures to the Paris Agreement at the 2015 United Nations Climate Change Conference to undertake immediate action to try and halt this phenomenon; that after over a century of increasing global temperatures, and in recent years, record monthly and annual temperatures records; that after an increase in atmospheric levels of greenhouse gases, such as carbon dioxide by 42 per cent (from 280 parts per million (ppm) in pre-industrial times to over 400 ppm currently); that after a multitude of environmental impacts consistent with climate change; that there would exist no sane human being on the planet who would not only understand the reality of climate change, but also be highly concerned about it. You might think that. Climate change denial is alive and well and living in Canada. It is useful to examine this phenomenon, how it is conducted and promulgated, what its effects are, and what we need to do about it. "The Arctic ice cap hasn't disappeared, polar bear populations haven’t declined, hurricanes haven't become more common, malaria hasn’t spread, temperatures haven’t continued to climb." • Solomon claims: "The Arctic ice cap hasn’t disappeared." The facts are: Temperatures in the Arctic are at their warmest levels in at least the last 40,000 years. In January 2016 the extent of Arctic sea ice was at the lowest level for January since record keeping began in 1979. For example, in September (the lowest seasonal ebb) of 2015, arctic sea ice volume had decreased to 5,000 square kilometers, a 70 per cent decline from 1979 levels in a mere 36 years. To call this an enormous and precipitous decline would be massive understatement. 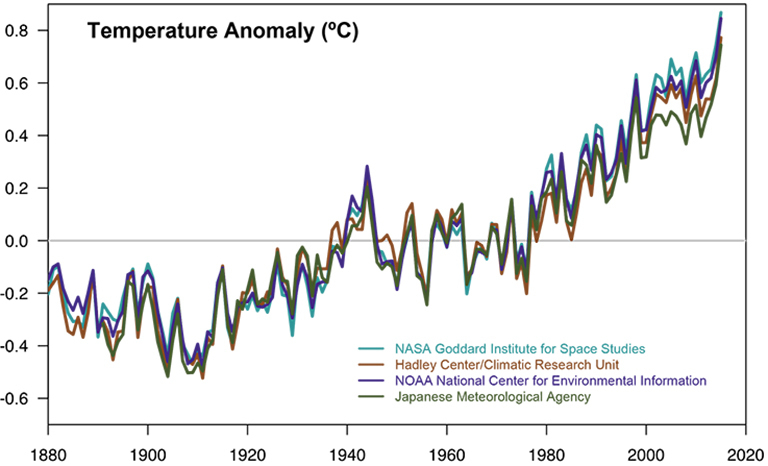 NASA data [Figure 2] show a continuous decline since 1953. 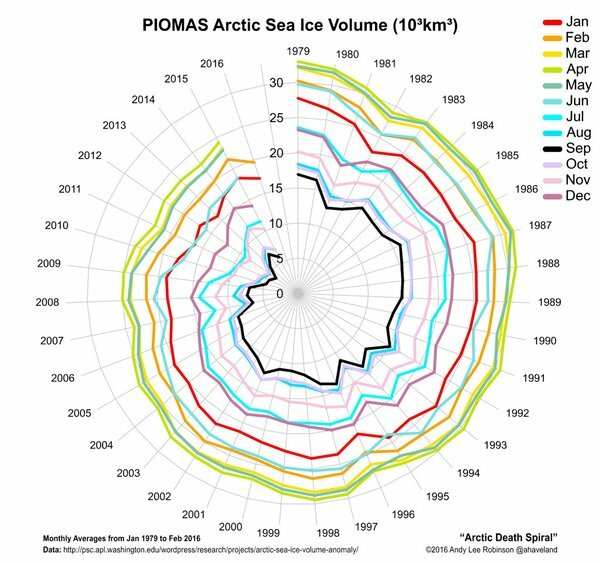 From year to year successive studies have almost invariably found that the decline in Artic sea ice is taking place even faster than originally forecast. To call this highly alarming would, again, be a significant understatement. • Solomon claims: "Polar bear populations haven’t declined." The facts are: A 2015 study by Jeffrey Bromaghin et al. in northeastern Alaska and the Northwest Territories of Canada shows that Polar Bear populations there declined by 40 per cent between 2001 and 2010 -- a staggering loss in less than a decade. The Western Hudson's Bay population of Polar Bears has decline by 22 per cent since the early 1980's. Polar Bears International forecasts that without action on climate change, two-thirds of polar bears could be gone by the middle of the century and the species could be extinct by the end of the century. • Solomon claims: "Hurricanes haven’t become more common." That said, climate models vary in terms of their projections of what the impact of climate change will be on hurricanes. Some models project little or no increase in frequency; others predict an increase. There is a complex tradeoff between intensity and frequency; i.e. there may be little change in the number of hurricanes each season, but they may be more intense. Recent models developed by the U.S. National Climate Assessment and Development Committee forecast a 75 per cent increase in the number of category 4 and 5 hurricanes (the most intense ones) in the future as a result of climate change. • Solomon claims: "Malaria hasn't spread." 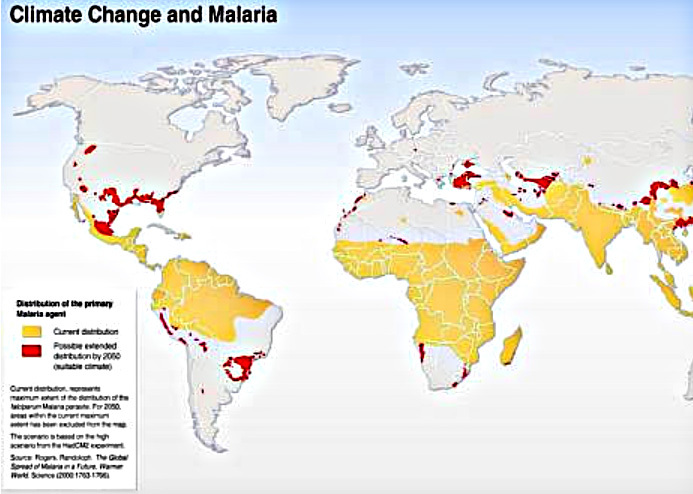 The facts are: Malaria has not spread in recent years, however, this has nothing at all to do with climate change. Rather, what it has to do with are massive efforts during the past decade by groups like Malaria No More (which has conducted enormous anti-malaria campaigns in Senegal, Cameroon, Zambia, South Africa, Kenya, Chad and elsewhere distributing medicines, diagnostic tests, mosquito nets, and conducting education programs). The Global Fund to Fight AIDS, Tuberculosis, and Malaria has distributed 713 million insecticide-treated nets intended to stop mosquito-borne transmission of malaria, The Malaria Atlas Project at the University of Oxford has mapped weather and climate information relevant to the spread of malaria. The Malaria Policy Advisory Committee of the WHO (World Health Organization) is coordinating global efforts to eliminate the disease. And these are only some of the initiatives. It's very clear that as climate change leads to warmer temperatures in tropical regions, a much larger region of the planet could become suitable habitat for the anopheline mosquitos that transmit Plasmodium falciparum, the microorganism responsible for malaria. What is clear is that Solomon's claim that "Malaria hasn’t spread" is no indicator whatsoever of the progress of climate change, but rather of a extraordinary effort on the part of many NGOs and the WHO to address this disease. • Solomon claims: "Temperatures haven’t continued to climb." 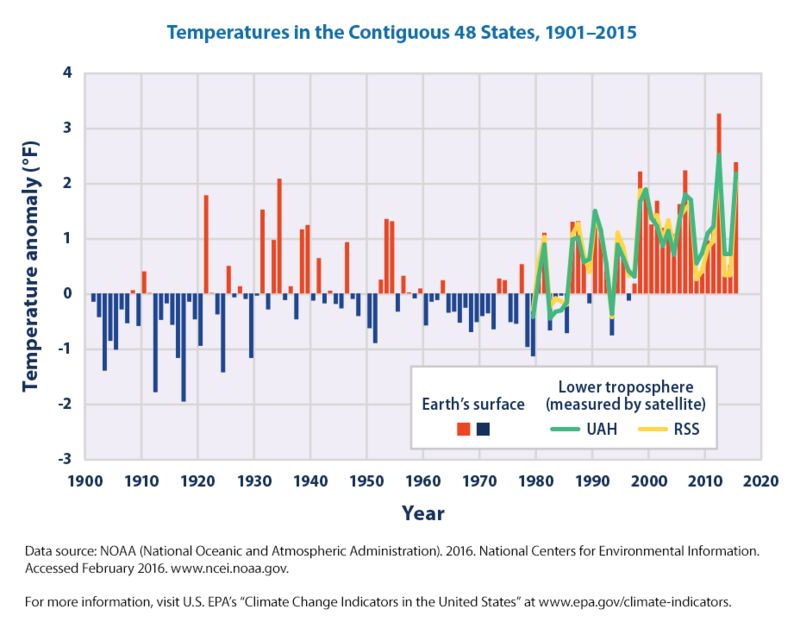 Worldwide, the decade 2006 - 2015 was the warmest on record since thermometer-based observations began in 1880. And in 2016 the trend continues. Higher-than average temperature anomalies occurred across the vast majority of the globe with the annually averaged global temperature at 0.94 C above 20th the century average. This is enormously concerning, particularly given that under the Paris Climate Change Accords the aspirational target limit of climate change by the year 2100 is 1.5 C above pre-industrial levels. We are already two-thirds of the way there. "Likewise, a much heralded claim that 97 per cent of scientists believed the planet was overheating came from a 2008 master’s thesis by a student at the University of Illinois who obtained her results by conducting a survey of 10,257 earth scientists, then discarding the views of all but 77 of them. Of those 77 scientists, 75 thought humans contributed to climate change. The ratio 75/77 produced the 97-per-cent figure that global warming activists then touted." Without a source cited who knows what he's referring to. Whatever it may be, it's clearly another straw man erected by Solomon: "alternate facts" that he hopes will make a non-existent case. As of 2016, 198 of the world's scientific academies from Albania, Argentina, Armenia, Australia, Bangladesh, Belgium, Bolivia, Brazil, Bulgaria, Cameroon, Canada, Chile, China, Croatia, Cuba, Czech Republic, Denmark, Dominican Republic, Egypt, EU, Finland, France, Georgia, Germany, Ghana, Greece, Guatemala, India, Indonesia, Iran, Ireland, Israel, Italy, Japan, Jordan, Kenya, Kosovo, Kirgizia, Latvia, Lithuania, Madagascar, Malaysia, Mauritius, Mexico, Moldova, Montenegro, Mozambique, Netherlands, New Zealand, Nigeria, Nicaragua, Norway, Pakistan, Palestine, Peru, Poland, Portugal, Romania, Russia, Senegal, Serbia, Slovakia, Slovenia, South Africa, South Korea, Spain, Sri Lanka, Sudan, Sweden, Tanzania, Turkey, Uganda, United Kingdom, United States, Venezuela, Zambia, and Zimbabwe have all supported the consensus position that climate change is caused by human activity. It is almost impossible to imagine a scientific consensus that is so enormous, that encompasses so many researchers, so many studies, from some many scientific and academic institutions, that span the entire globe, and that is based on such enormous amounts of data from some many different sources is that surrounding climate change. If we know anything with near certainty it is that climate change caused by human activity is occurring. And we know with ever-greater detail what the effects of this are and will be. And we know very clearly what the policy, regulatory, and technological solutions are to address this enormous threat to our planet. And, in the Paris Climate Change Agreement, we have a global framework within which to address this. The only remaining question is -- will humanity rise to the challenge and actually adequately address this dire threat? Not if the Financial Post and Lawrence Solomon have their way. While based on nonsense, baloney, twaddle, and claptrap, Solomon's article makes every kind on nonsensical and hyperbolic claim imaginable, for instance that, "None of the billions spent on research amounted to anything -- none of the models proved reliable, none of the predictions were borne out, none of the expected effects materialized." He calls the work of the IPCC a "mega-fraud," accuses the NOAA "and other corrupted agencies" of generating a "blizzard of lies" concluding that, "The greatest scientific fraud of the century will thus be laid bare, along with its craven and corrupt enablers in government, academia, industry and the media." Virtually every claim made by Solomon in this "opinion" piece is wrong, flawed, misdirected, hyperbolic, or irrelevant -- sometimes all at once. To call it poppycock would be a kindness. Which begs the question, what is such an article doing in print in any media outlet at all? What possible public interest could be served by publishing falsehoods? What media organization would possibly contemplate publishing such material? It's important to be clear as to what Solomon's initiative is a part of, namely climate change denial. This is a pernicious anti-science, anti-knowledge initiative every bit as dangerous as Holocaust-denial, the campaign that denied that tobacco smoke caused lung-cancer, evolution denial, and other campaigns that have attempted to convince citizens that black is white. 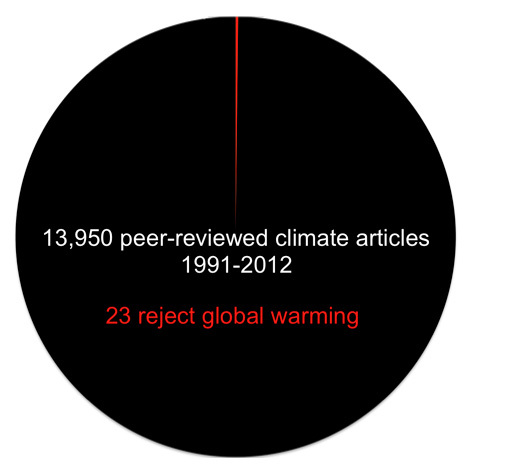 Climate-change denial is the most recent of these campaigns, extensively documented in publications such as Naomi Klein's This Changes Everything and elsewhere. A full discussion of this movement is beyond the scope of this article but the salient outlines are simple and clear. It is promulgated by fossil fuel interests (Exxon and the Koch family foundations have been particularly prominent, but there are many others) who -- correctly -- understand that adequately addressing the climate change crisis means a phasing-out of fossil fuels, and hence an end to the enormous profits and power of this sector. Exxon, Koch's et al. have poured millions of dollars into an orchestrated movement to counter the threat to the fossil fuel industry that shifting to more sustainable and renewable energy scenarios and technologies would lead to. This has resulted not only in aggressive lobbying and strident propaganda, but also to the creation of various institutes and think tanks (e.g., The Heartland Institute, Americans for Prosperity, the now-defunct Global Climate Coalition; in Canada groups like the Friends of Science that get funding from the petroleum industry and argue that the sun, rather than human activity, is responsible for climate change) to promulgate these views. The tactics of these efforts borrow heavily in some instances from the long and concerted campaign by the tobacco industry to attempt to deny the linkages between the use of tobacco products and lung cancer (in some instances employing the same public relations firms and even rebranding purported "experts" on tobacco use into climate change "experts." It's important to note that in addition to the extensive lobbying that such organizations have conducted to advance the fossil-fuel agenda, their media-relation efforts have been two-fold. In part, in the classic tradition of disinformation and propaganda, this has been to convince the credulous (particularly those with meager critical abilities and/or inclined to conspiracy-theory thinking) that evidence for climate change is meager to non-existent and that all the efforts to understand the causative factors and consequences of climate change, and how to address it through regulatory and technological approaches -- from the massive studies and reports of the Intergovernmental Panel on Climate Change and the twenty-year initiative under the aegis of the United Nations Framework Conventions on Climate Change -- have all been a gigantic con. Nothing more than machinations by "elite" scientists solely concerned with promoting their own careers, coupled with deep, dark conspiracies of world government promulgated by hordes of United Nations minions intent on "world government." Solomon's article falls squarely within this tradition. And, given that one can fool some of the people all of the time … it does. This doesn't, of course, penetrate to the large majority of people, nor do climate change deniers imagine that it will. The more modest, but politically effective, goal is simply to create doubt. By casting up a smokescreen of bogus science, unsupported assertions, red herrings, discredited ideas, and abject nonsense -- presented however, with a pseudoscientific veneer -- it gives the impression that uncertainty exists in the scientific community about the reality of climate change and/or its causes and/or its consequences. That experts differ. That doubt remains. That conclusions are premature. That the jury is still out. In other words, to attempt to pull the wool over the eyes of ordinary citizens conveying the impression that this is still an area where experts disagree and on which more study is required. The ultimate objective is to neutralize political action. If, deniers reason, you can sufficiently confuse people about climate change and its causes then they will not press their political representatives to act on it. For some two decades, this has been the program. It's ultimately a losing strategy because it is impossible to hide the accelerating impacts of climate change even now, but the climate-change-denial industry (and its fossil fuel backers) are seemingly greedy even for short-term profit, as well as being utterly ethically bereft in their disregard of what runaway climate change would do to this planet and all of its inhabitants. It seems extraordinary to even speak of such things, but from the Nazi Holocaust to ideas of a "winnable" nuclear war, the world has never wanted for people who are morally bankrupt. We have to recognize that this is so and adapt our politics to the periodic emergence of such phenomena. However incorrect, unsupported, and misguided Lawrence Solomon certainly has the right to hold and express his views. The Canadian Charter of Rights and Freedoms (Section 2a) guarantees every Canadian "freedom of thought, belief, opinion and expression, including freedom of the press and other media of communication." Similarly, the United Nations Universal Declaration of Human Rights (to which Canada is a signatory) (Article 19) guarantees every person "the right to freedom of opinion and expression; this right includes freedom to hold opinions without interference and to seek, receive and impart information and ideas through any media and regardless of frontiers." Likewise, the Financial Post certainly has the right to publish whatever it deems fit. However, should the Financial Post publish such material? The Fourth Estate (i.e., the media) is a key democratic institution. Without a free press and the guarantees of freedom of expression, a vital check on potential abuse -- by anyone including governments, corporations, the police, the justice system, political parties, organizations, and even private individuals -- would be lacking. Who would watch the watchers themselves? An independent and critical media that can not only expose wrongdoing, inform citizens, champion issues, and expose shortcomings, but also help create coherent communities is an indispensable social institution. In a study entitled Dead Newspapers and Citizens' Civic Engagement, Portland State University professor Lee Shaker found a substantial decrease in civic engagement in two cities (Seattle and Denver) that both saw the closure of longstanding daily newspapers. Good media organizations not only reflect the communities they serve, they help build them. And -- critically -- they have a responsibility to them. In the context of reportage, media frequently understand themselves as impartial conveyors of information, classically by presenting both sides of a story (assuming that there are only two) and then letting the reader, listener, or viewer form their own conclusions. In editorial or opinion pieces, editors, journalists, or guests move beyond impartiality to offer their own views. It's important that media engage with controversial issues, however -- and this is the critical caveat -- these must be issues that based on fact and evidence. Not on rumor, innuendo, fantasy, or fabrication. A media organization that presents falsehoods, disinformation, or propaganda disguised as truth, betrays its audience, its journalistic legitimacy, and its responsibility to society -- a very grave transgression. Legal theorists such as the University of Bergen's philosopher Tryve Lavik (See: Climate change denial, freedom of speech and global justice) are making the jurisprudential case that climate change denial should be made illegal. 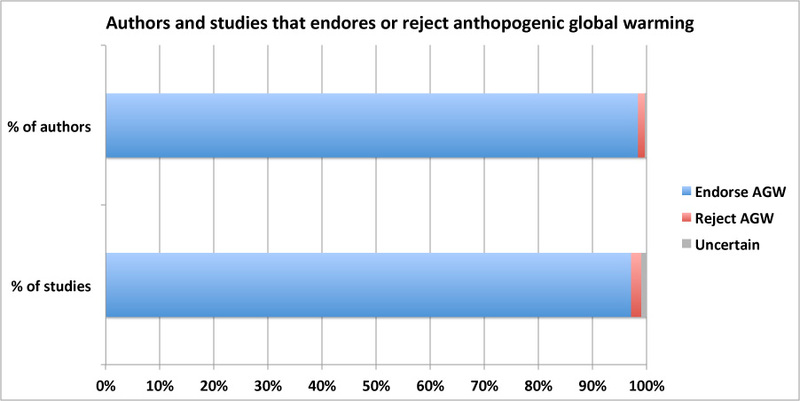 "The main arguments are: Climate denialism is not beneficial because its main goal is to produce doubt, and not truth. Climate denialism is not sincerely meant, which is a necessary condition for John Stuart Mill to accept utterances. Climate denialists bring harm, by blocking necessary action on climate change. Primarily they harm future generations and people in developing countries. Hence the case can be made in terms of global justice." • I believe that the public journal is a public trust; that all connected with it are, to the full measure of their responsibility, trustees for the public; that acceptance of a lesser service than the public service is betrayal of this trust. • I believe that clear thinking and clear statement, accuracy and fairness are fundamental to good journalism. • I believe that a journalist should write only what he holds in his heart to be true. I underscore this in making the point that climate change denial is not based on fact or evidence; rather it is a denial of fact and evidence; an attempt to replace truth with demonstrable falsehoods, disinformation, unsupported assertions, discredited ideas, innuendo, and conspiracy theory. And this is done the service of nakedly political objectives that are antithetical to the continued well-being of the planet and all its denizens, human and non-human alike. In Canada, we do not have a law such as the one in Bolivia that gives Mother Earth rights and personhood, but if we did, climate change denial will surely be at the top of the list of sanctioned activities. Just as we consider it abhorrent to deny the Holocaust or to believe in the veracity of documents like The Protocols of the Elders of Zion; to refute the causative relationship between tobacco use and lung cancer; to deny the reality of evolution and the fossil record -- so too must climate change denial be understood as abhorrent. Media that continue to publish what are demonstrable falsehoods are abrogating their core responsibility to those who read, listen and watch their work. "When state leaders and spokespersons can invent crimes and massacres, denounce the media for departing even slightly from the official party line and dismiss scientific findings, citizens have to decide whether they will likewise engage in doublethink, learn the newspeak and concede that two plus two is whatever these authorities say it is." But when media collude with the promulgation of "doublethink" (in this instance directed by the corporate state) this is a complete abomination. It is time we called this what it is -- lies. Harmful lies. As Daniel Patrick Moynihan once said, "Everyone is entitled to their own opinions, but not their own facts." And when such "opinions" are demonstrably false, and will result in demonstrable harm, the media have an ethical responsibility not to promulgate them in a way that makes them appear as if they were otherwise. It's time Canadian media like the Financial Post started acting responsibly.